The annual Mananan International Festivals, established in 1975, are among the Isle of Man’s most prestigious cultural events, and rank among the finest festivals in the British Isles. The Festival is held during the last 2 weeks of June with an event every evening and sometimes during the daytime at weekends. Tickets are on sale for Friends of Mananan Festival on 11th March. Tickets are on sale to the general public from 1st April. 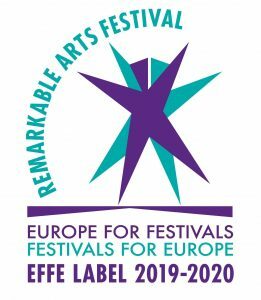 The 2018 Festival was a resounding success and artistes for 2019 include:Tasmin Little (violin) with Martin Roscoe (piano), Worbey & Farrell, Red Priest, Anna Prohaska (soprano) with Julius Drake (piano), Katona Twins (Guitars), Jazz Quartet with Zoe Rahman, An early Balfe Opera “The Sleeping Queen”Peter Donohoe (piano), The Brodsky String Quartet, Jonathan & Tom Scott (organ and piano). Kabantu will be returning after a very popular concert in the 2018 Mananan Festival and numerous requests to bring them back. Andrew Killian who gave us the lectures on Shakespeare will give an illustrated talk on the history of musicals.